Over a five-year period, their equity will increase by over $48,000! This figure does not even take into account their monthly principal mortgagepayments. 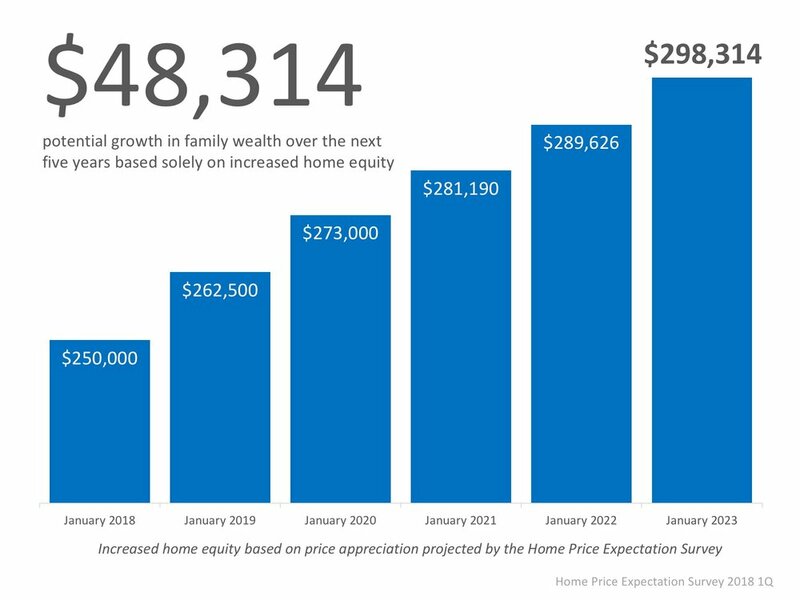 In many cases, home equity is one of the largest portions of a family’s overall net worth.